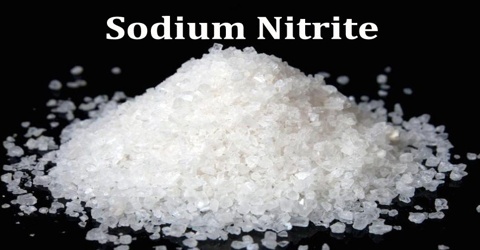 Sodium nitrite is a white crystalline compound used to lower systemic blood pressure, to relieve local vasomotor spasms, to relax bronchial and intestinal spasms, and as an antidote for cyanide poisoning. It is the inorganic compound with the chemical formula NaNO2. It is a useful precursor to a variety of organic compounds, such as pharmaceuticals, dyes, and pesticides, but it is probably best known as a food additive to prevent botulism. Sodium nitrite serves a vital public health function: it blocks the growth of botulism-causing bacteria and prevents spoilage. Sodium nitrite also gives cured meats their characteristic color and flavor. Also, USDA-sponsored research indicates that sodium nitrite can help prevent the growth of Listeria monocytogenes, an environmental bacterium that can cause illness in some at-risk populations. 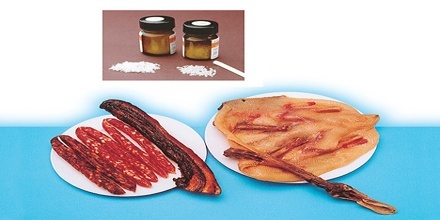 Sodium nitrite has the characteristics of reduction and oxidation and is mainly oxidation. Chemical formula is NaNO2, in which N has a valency is + III. It is colorless or yellow crystal, the relative density is 2.168 (0℃), the melting point is 271℃, and it is decomposed when 320℃. 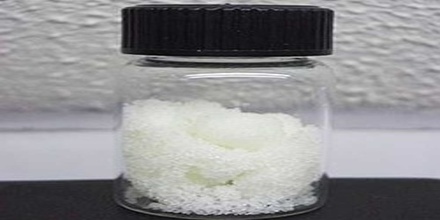 It is soluble in water, and aqueous solution is alkaline because of nitrate hydrolysis. Sodium nitrite can be placed in the air with the oxygen reaction, and gradually produce sodium nitrate: NaNO2+1/2O2=NaNO3. When using strong acidic sodium nitrite, it can be nitrited to nitric acid. Nitrite is very unstable, easily decomposed into nitrogen dioxide, nitric oxide and water. The nitrogen atoms and oxygen atoms all have a single pair of electrons, which can be used as ligands, and can be used as ligands to form complexes with many metal ions. 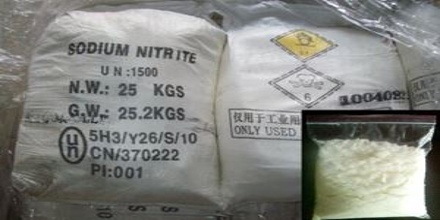 Sodium nitrite is toxic, carcinogenic substances, using it must be attention. Sodium nitrite is toxic, carcinogenic substances, using it must be attention. It is used in printing and dyeing industry and organic synthesis. It is also a kind of antidote, can make the oxidation of hemoglobin to methemoglobin, and is easy to combine with cyanide ions and produce non-toxic cyanide methemoglobin, then after given sodium thiosulfate, it change into non-toxic sulphur cyanogen compounds, and excreted. It is used as a common analytical reagent, oxidant and diazotization reagent, also used for the synthesis of nitrite and nitroso compound. It is also used as a mordant, bleach, metal heat treatment, electroplating, corrosion inhibitor, medicine, used as instrument disinfectant and preservative, etc. Reference: chemicalbook.com, pubchem.ncbi.nlm.nih.gov, dictionary.com, wikipedia.